Summary: These first-half figures were slightly better than I had expected, with December’s AGM statement having downplayed the group’s underlying progress. Welcome revenue advances — both in the UK and abroad — were delivered by TSTL’s main disinfectant products, while adjusted profit would have soared 24% were it not for the costs of entering North America. Sadly it remains anyone’s guess as to when those costs will eventually see any payback. Nonetheless, the first North American milestone is looming — an EPA product approval decision is expected on 16 April, and the share price is optimistic. I continue to hold. Click here to read all my TSTL posts. December’s AGM update had already suggested TSTL would report worthwhile profit progress. 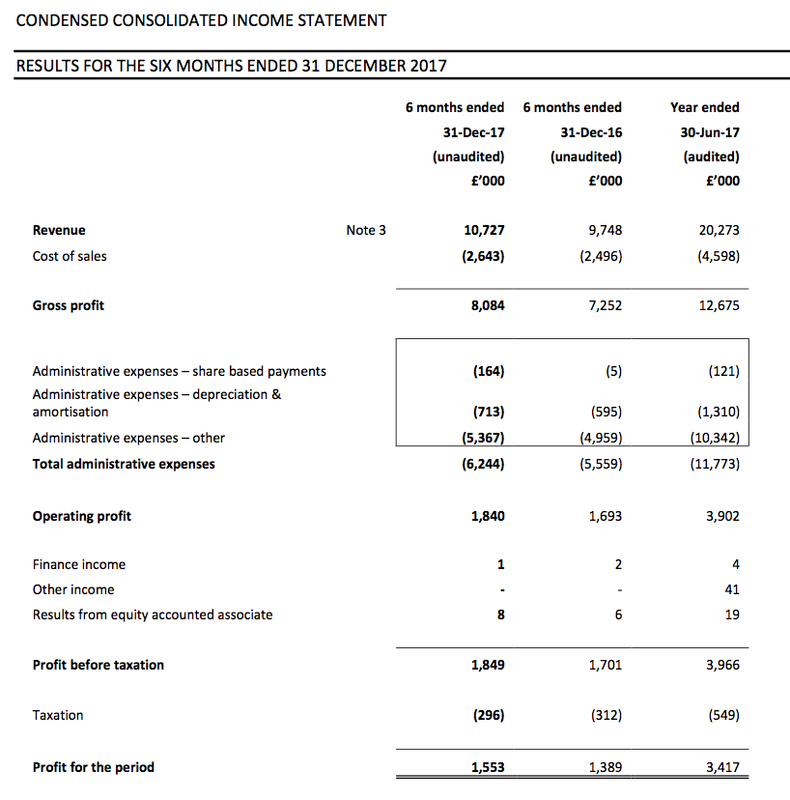 First-half pre-tax profit before share-based payments was indeed “no less than £1.9m” at £2.0m (up 18%), and looking back at my earlier comment, I was right to assume the AGM statement carried another £0.1m of profit ‘sand bagging’. Also impressive was TSTL’s performance adjusted for the regulatory expenditure concerning the planned venture into North America (more on that later). Some £500k was expensed on such matters during the half versus £200k during the comparable period. Exclude those North American costs and operating profit advanced £447k, or 24%, to £2,340k. Revenue gained 10% to £10.7m, with UK sales down 4% and overseas sales up 28%. Although the domestic top line did not appear great, the finer details within the results presentation showed more encouraging progress (more on that later). The results set new first-half records for TSTL and — underlining the firm’s sizeable expansion — this H1 profit exceeded the group’s full-year effort for 2014. The interim dividend was lifted 14% to 1.6p per share, although management talk at the City presentation suggested there would be no imminent repeat of the 2015 and 2016 special payouts. TSTL’s revenue remains a mix of attractive ‘core’ disinfectants, demand for which has been growing well, and a significant batch of minor and legacy products, demand for which appears to be static or falling. Everything else — the group’s commodity products as well as the disinfectants for hospital surfaces, veterinary surgeries and pharmaceutical cleanrooms — I have classed as ‘other’. TSTL has claimed on many occasions that the UK is a mature market, and these results reiterated “further growth opportunities are limited” for domestic sales. However, ‘core’ UK revenue grew a useful 4% during the half. In fact, adjusting for a £150k NHS ‘bulk purchase’ made during H1 2017 that ordinarily would have been recorded during H2 2017, the growth rate improves to 8%. As before, I am not anticipating ‘core’ UK products delivering more than 5% annual revenue growth during the years ahead. The presentation slides referred to a new product called Shot. Essentially it is a bottle with a clever ‘dosing head’ that allows a TSTL disinfectant capsule to be mixed with exactly 10ml of water. 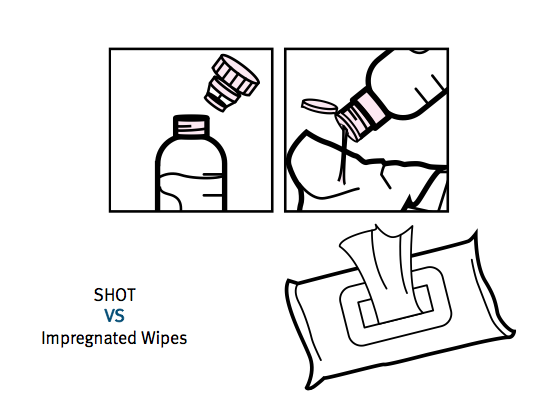 Shot was apparently developed using know-how established through the Puffin project, and can be manufactured at a price that will make TSTL more competitive against rival wipes that are cheaper but less effective. TSTL’s results statement showed its ‘surface’ products losing ground within UK hospitals. Revenue from such items dropped 12% to £601k during this H1, after plunging 21% during the preceding H2. “Pricing pressure” from the NHS was cited for downturn. A good question at the City presentation prompted management to admit that selling Shot would “not be easy”. It seems there is a “big active persuasive task” for TSTL and hospital managers to change the working habits of hospital staff, who no doubt would prefer to use simple pre-disinfected wipes rather than fiddle about with bottles, capsules and ’dosing heads’. Shot has now been established within every department at four Sheffield hospitals… but only after TSTL sent employees to those hospitals for four weeks to help manage the implementation. Following October’s full-year results, I had to delve deep into TSTL’s figures to work out how exactly the group’s overseas operations were performing. You see, underlying international growth during last year’s H2 appeared to be just 5% after excluding the Australian acquisition and very favourable currency movements. Thankfully this H1 presented a better picture. An extra £761k of organic international revenue certainly looks healthier than the £175k produced during the preceding H2. Notably, Germany & Central Europe, which now generates 18% of total group revenue (and described by management as “a fantastic team”), grew 23% on a constant-currency basis. Meanwhile, New Zealand, which produces 3% of group revenue, advanced by 28%. Even the overseas distributors managed to bump their H1 sales by 45% to almost £1.4m. Mind you, the comparable H1 2017 period was relatively soft for these outfits, and management did warn the 45% increase was driven by only two operators and was likely to be a “one off”. All told, I’m guessing overseas revenue gained approximately 20% during this H1 if you exclude currency movements and Australia. TSTL’s results RNS announced the purchase of the group’s Hong Kong distributor for £200k. Revenue from this operation dropped 35% during the half, and director comments at the City presentation suggested the Hong Kong managers had become distracted by selling other products. Other Hong Kong remarks indicated the split was amicable, the payment was fair, the payment was contractual and that an in-house office had been established last week. Management also mentioned the Hong Kong business having once delivered annual revenue of between £600k and £700k. However, I am not sure whether that was revenue earned by the distributor or revenue the distributor passed to TSTL. Anyway, Hong Kong revenue was only £222k during H1 and I am hopeful this purchase can come somewhere close to the extraordinary success of the Australian acquisition (where the purchase payment should be recouped within three years). There was management talk of Hong Kong becoming a ‘hub’ office for south east Asia to support countries such as Korea and Malaysia. The ‘hub’ model has worked well with TSTL’s German office supplying Poland and Switzerland. The executives provided a handful of interesting remarks about North America during the City presentation. Firstly, a decision from the EPA concerning TSTL’s Duo foam product is due on 16 April (the presentation slides stated by 31 May and the RNS suggested before 30 June). Presentation attendees were told that there was “no reason to expect anything other than an approval” and that TSTL had “never had a rejection” from a regulatory authority. After EPA approval, TSTL will then have to make 50 state submissions so the product can be used throughout the country. Management continues to expect all the EPA and state paperwork to be completed by December 2018. Management also used the City presentation to disclose that December may witness TSTL’s first submission to the FDA. The group is currently overseeing a twelve-month FDA shelf-life test that has nine months still to run. Once the test has finished, an FDA submission for Duo foam to disinfect tonometers is anticipated before Christmas. The FDA is likely to take between six months and a year to decide whether to approve the foam. I had been expecting an FDA approval in 2020, so it appears there is a chance the decision could arrive earlier. The projected costs of the North American project have not changed, with £800k to be expensed during this financial year. Management confirmed a further £800k would be spent the year after. The board would not give any clues as to the timing and potential of North American revenue, other than to reconfirm sales should start by 30 June 2019. However, the executives did divulge they were in “advanced” discussions with a US-based contract manufacturer as well as several possible distributors with nationwide coverage. No great developments were revealed about MobileODT and its mobile colposcopes. The devices were barely mentioned in the RNS. At the City presentation, management once again said the colposcopes were not being disinfected properly — despite the devices being FDA-approved and used in the States. Anyway, some 1,800 of these colposcopes have been sold to date (they sell for $3,705 each) and I am therefore not expecting huge immediate revenue from the associated disinfectant purchases once TSTL obtains EPA approval. Similar to the aforementioned Shot product, TSTL will have to employ a “persuasion” strategy to ensure MobileODT’s customers actually disinfect the colposcopes. Part of that strategy involves TSTL-developed software telling the user their device requires cleaning. Management described TSTL’s 3% stake in MobileODT as “very exciting”, but admitted it was not planning to increase the investment. I was not surprised the board described the targets as “very achievable”. Annual revenue currently runs at £20.5m and has to reach only £22.8m — equivalent to an 11% increase — within the next 18 months. Meanwhile, the pre-tax profit before share-based payments margin was clear of the 17.5% mark at 18.8% during this H1. True, the presentation slides did refer to “reduced gross margin expectations”. Suppliers apparently lifted their prices when sterling weakened following the Brexit vote — and management admitted “supplier prices don’t go down when currency rates bounce back”. However, a substantial margin decline is not anticipated. Gross margin during this H1 was 75% — versus 77% during 2017 — and executive remarks at the presentation suggested future gross margins were likely to sit at the same 75% level. Share-based payments were a notable £164k during this H1 and the introduction of a new LTIP scheme will probably mean the charge increases during the next few years. I can only hope the share price reaches £5 before mid-2021 — the trigger for the new LTIP scheme to pay out in full — to justify the associated cost and dilution. I am trusting the working-capital outflow is simply a temporary reversal of the favourable movements witnessed during recent years. Meanwhile, the extra capex all related to new product machinery and MobileODT software development. The additional expenditure meant the cash pile was left £149k lighter at £4.9m (equivalent to 11.5p per share). I have written for some time now that TSTL’s share price expects great things from North America. Taking the calendar 2017 operating profit of £4.0m and adding back North American regulatory expenditure of £0.8m, and then applying tax at the standard 19% UK rate, I arrive at earnings of £3.9m or 9.1p per share. Subtracting the latest cash position of 11.5p per share from the 275p share price, the underlying trailing P/E comes to 263.5p/9.1p = 29. Alternatively, assuming TSTL’s revenue reaches the £26m top-end of the group’s 2019 guidance and the operating margin (ignoring North American costs) is sustained above the projected 17.5% at 20%, I arrive at a 10p per share earnings guess and a cash-adjusted multiple of 26. Either way, the rating appears rich. So let’s say TSTL excluding North America should be valued at 20 times earnings, which seems about right given the business enjoys high margins, repeat revenue and has just advanced its profit by 20%-plus before North American costs. On that 20x multiple, TSTL excluding North American could be worth 200p per share, or £86m, and the North American project could therefore be valued at 75p per share, or £32m. With no Stateside product approval, no manufacturing agreement, no distribution arrangement and no employees in place, certainly there is a lot of hope placed on that £32m right now. For what it is worth, 16 months ago my notes cited TSTL management declaring the US market for just two FDA-approved products could be worth £18m a year. I should add that management no longer mention that £18m. All told, I reckon it will be 2020 at the very earliest before TSTL produces any material North American revenue — and generating a material North American profit may take a further year or two beyond that. And if the North American project flops completely? I guess the market-cap downside at present could be that £32m, or close to 30%. This statement was published on 26 March, and the tie-up sounds promising. Parker offers two important features for TSTL’s North American plans — i) a suitable manufacturing facility (TSTL does not want to manufacture in the UK for regulatory reasons), and; ii) a route to nationwide distribution. Bonus points include Parker being a long-established family business and having developed a pioneering, and now market-leading, product. On the face of it, Parker would seem to be a very appealing partner. (The statement also confirmed the EPA decision is still expected before 30 June 2018. My understanding from February’s results presentation (see my Blog post above) was that the EPA decision was set for 16 April (today)). Tristel plc (AIM: TSTL), the manufacturer of infection prevention products, announces that it has entered into a manufacturing and marketing agreement with Parker Laboratories Inc., USA (‘Parker’) whereby Parker will manufacture Tristel’s Duo chlorine dioxide foam disinfectant for the North, Central and South American market and will market the product in the ultrasound marketplace throughout the region. This collaboration with Parker prepares Tristel for its entry into the United States infection prevention marketplace in advance of the grant of approval by the United States Environmental Protection Agency (‘EPA’) for Duo which is expected during the second half of the current financial year. Parker (www.parkerlabs.com) was founded in 1958 and is family-owned and managed. The company pioneered the development of conductive gels for use in ultrasound. It manufactures its products in a 95,000 sq ft facility in Fairfield, New Jersey and is registered with the United States Food and Drug Administration (‘FDA’) as a manufacturer of medical devices. All Parker products are manufactured under Good Manufacturing Practice (‘GMP’) directives. Parker’s products are available to ultrasound practitioners in every country throughout the world. Its Aquasonic 100 gel is the market leader in the United States where the company has nationwide distribution through a network of approximately 500 distributors. Parker is also a market leader in the ultrasound market in Canada and throughout Central and South America. This initiative is part of Tristel’s stated intention to enter the North American infection prevention market. This plan was unveiled in the Company’s preliminary results announcement in October 2015. In pursuit of this plan, on 30 June 2017 Tristel made a submission for regulatory clearance by the EPA of its Duo chlorine dioxide disinfection foam. Following EPA federal approval, the Company will need to secure state-by-state approval before sales of Duo can commence. The EPA clearance will enable Duo to claim intermediate disinfection of all non-porous surfaces, including those of medical instruments such as ultrasound probes. This is Tristel’s core activity worldwide and accounts for approximately 80% of the Company’s revenues. In addition, the Company continues to develop two submissions to be made to the FDA for 510(K) clearance in respect of Duo. The 510(K) approval will permit Duo to claim high-level disinfection of medical instruments. It is important to note that in all other markets worldwide, Duo is classified as a high-level disinfectant. Good news. The first USA milestone has been reached. Tristel plc (AIM: TSTL), the manufacturer of infection prevention products, announces that the United States Environmental Protection Agency (“EPA”) has registered its foam-based chlorine dioxide product, Duo. This registration enables Tristel to market Duo to clean and disinfect hard, non-porous surfaces. The federal registration will be followed by state-by-state approvals which the Company expects to complete by the end of 2018. The Company anticipates first revenues from the United States during its 2018-19 financial year. Paul Swinney, CEO of Tristel plc, comments: “We have achieved our first United States regulatory approval, and we will continue to pursue further registrations with the EPA and the Food and Drug Administration (“FDA”) to build a broadly-based business in the USA. “We recently announced that we have appointed Parker Laboratories Inc to manufacture Duo in its FDA approved facility in New Jersey, and to sell Duo into the ultrasound marketplace in which they have national sales coverage. We will sell our products through different channels into other clinical areas in the USA hospital market. Now this could be big. if it works out then I think Tristel may become a target for someone. Even if they don’t become a target I can see Revenue volumes doubling and profits doing much the same or better. Having been someone who missed out on the early days, do you rate Tristel as a buy? Well, I last bought TSTL during April 2014 at 45p. So I guess I have not rated it as a buy since then. (I should say that I do not ‘rate’ shares as buys or sells — I am not here to give recommendations or advice). A fair chunk of the current TSTL share price appears dependent on decent progress in the USA. Events there appear to be heading in the right direction, albeit slowly. This statement presented some positive points and a few areas of mild concern. I hope to discover further details at the Open Day. Tristel plc (AIM: TSTL), the manufacturer of infection prevention products, provides a trading update for the year ended 30 June 2018 in advance of the Shareholder Open Day to be held at its headquarters in Snailwell, Cambridgeshire on Tuesday 17 July. For the year ended 30 June 2018 results will be in line with expectations, showing strong growth across the business. Tristel will report record turnover of £22.2m (2017: £20.3m) and pre-tax profit (before share-based payments) of at least £4.4m (2017: £4.1m). Revenue from overseas markets contributed 51.3% of the Group total – a record level (2017: 47%). Tristel has continued to generate significant levels of cash and at 30 June 2018 cash balances were £6.7m (30 June 2017: £5.1m). The Company has no debt. The Company will declare a final dividend for the year ended 30 June 2018 at the time of the preliminary results to be announced in October. Revenue of £22.2m for 2018 almost met the £22.8m minimum target TSTL had set for revenue for 2019 (average of 10-15% compound revenue growth between 2017 and 2019). The RNS indicates H2 revenue was approximately £11,473k (+9.0%), and FY overseas revenue was £11,389k. Those calculations lead me to deduce UK H2 revenue was c£5,457k (+6.6%) and H2 overseas revenue was c£6,016k (+11.3%). I am very pleased about the H2 UK revenue performance. The UK division has suffered from declining legacy-product sales of late (H1 UK revenue slipped 4%), but clearly better progress was enjoyed during the second half. FY 2018 UK revenue climbed 1.3%. I hope some idea of how the core products fared in the UK will be given at the Open Day. I have to admit, H2 overseas revenue gaining 11% is not spectacular after H1 overseas revenue surged 28%. Factors could include currency movements and the acquisition of the Hong Kong operation and associated restructuring. I hope the Open Day can elicit management comments on this performance. This time last year, TSTL forecast a pre-tax profit (before share-based payments) of not less than £4.0m for 2017. The 2017 results actually showed £4,087k. So a forecast of not less than £4.4m could end up being close to £4.5m. Bear in mind that TSTL writes off its USA regulatory expenditure. £500k of such costs were incurred during H1 and my notes say a further £300k should have been incurred during H2. So before share-based payments and USA regulatory costs, FY pre-tax profit appears to have moved from £4.6m to £5.2m (+13%). Before share-based payments, H2 saw a £2.0m pre-tax profit and I infer from this RNS that H2 saw a £2.4m pre-tax profit. Adjust for the aforementioned USA costs and H1 saw a £2.5m pre-tax profit (+32%) and H2 saw a £2.7m (+3%) pre-tax profit. The comparison to H2 2017 does not look great… but I recall the H1 results revealing an additional £0.2m being spent on the Hong Kong reshuffle. So perhaps the H2 pre-tax profit is really £2.9m, which would be 11% higher than the comparable H2 of 2017. And with TSTL perhaps ‘sandbagging’ this RNS profit prediction, maybe the actual H2 profit figure (before that £0.2m HK cost and share payments and USA expenses) is £3.0m (+15%). Anyway, the £6.7m (15.5p/share) cash position appears healthy. The H1 position was £4,945k, so more than £1.7m has been added during H2. 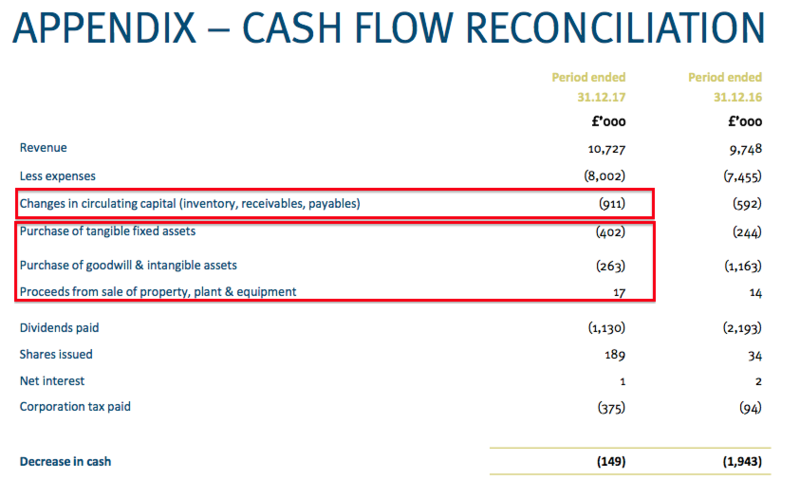 The H1 dividend cost c£690k during H2, so close to £2.4m cash (c5.5p/share) was generated during H2. Not bad. Building upon the EPA approval granted on 19 April, the Company is filing an additional submission to expand the allowable microbiological efficacy claims (20 additional micro-organisms) to enhance the competitive advantage of its Duo product. It is also in the process of filing registrations in the first five selected States, and is adding a second foam-based product format to its registration. This product is branded Jet in the UK and overseas markets and utilises the same chemistry as Duo. Manufacturing scale up is underway at Parker Laboratories. The Company has lodged a pre-submission review with the FDA in accordance with the guidance given by the agency in the initial consultation meeting in April 2016. The data set presented to the FDA represents a substantial portion of the final submission that the Company continues to expect to make by the end of the calendar year. The FDA will provide a written response to the pre-submission review 90 days from receipt. This response will be used by the Company to guide its final submission. As expected, nothing much to report on the USA. I am pleased the final FDA submission remains on track to be made by the end of the year. MODT is in the process of completing a further US$5m fund raising as it continues the global roll-out of its EVA System mobile colposcope. Tristel will participate in this funding round pro-rata to its 3.22% shareholding in MODT. MODT is working with the FDA to submit its Automatic Visual Evaluation (AVE) algorithmic model for approval under the FDA De Novo pathway. Through collaborative research with the United States National Cancer Institute and National Library of Medicine, it has been determined that deep learning derived diagnosis from a visual image of the cervix has a greater predictive ability than conventional cytology (Pap Smear). MODT’s opportunity is to replace cytology in a co-test with HPV screening. The Company is deepening its relationship with MODT by combining the disinfection compliance and audit App that it has developed during the past year with MODT’s App; contracting the software support functions to MODT, and becoming MODT’s distributor in the UK, Australia and New Zealand. Women’s health is a key target area for Tristel and given the relevance of HPV to cervical cancer and Tristel’s ability to kill the virus on medical instrumentation, thereby avoiding the risk of cross-infection between women, this important strategic relationship for the Company is developing positively. It will be interesting to see how much TSTL pays for its extra MODT shares, and whether the implied MODT valuation has moved higher/lower following the initial investment. TSTL paid $750k for its initial 3.27% stake this time last year. As outlined in last year’s results, the Company continues to invest in future growth opportunities. These include gaining new regulatory approvals to access new geographical markets (in particular the United States) and to extend Tristel’s presence in its existing geographical markets. The Company is also making strategic investments to position it in the emerging world of digital healthcare. The Board continues to examine all aspects of the business, including its distributor network, seeking further opportunities to enhance Tristel’s long term earnings. The reference to “distributor network” could suggest further distributor purchases following the acquisition of the group’s Australian and Hong Kong distributors. The Australian deal was particularly smart. Tristel is hosting an Open Day for Shareholders at the Company headquarters in Snailwell, Cambridgeshire on 17 July 2018 at 11am. A presentation will be made during the Open Day which will not contain any new material information. 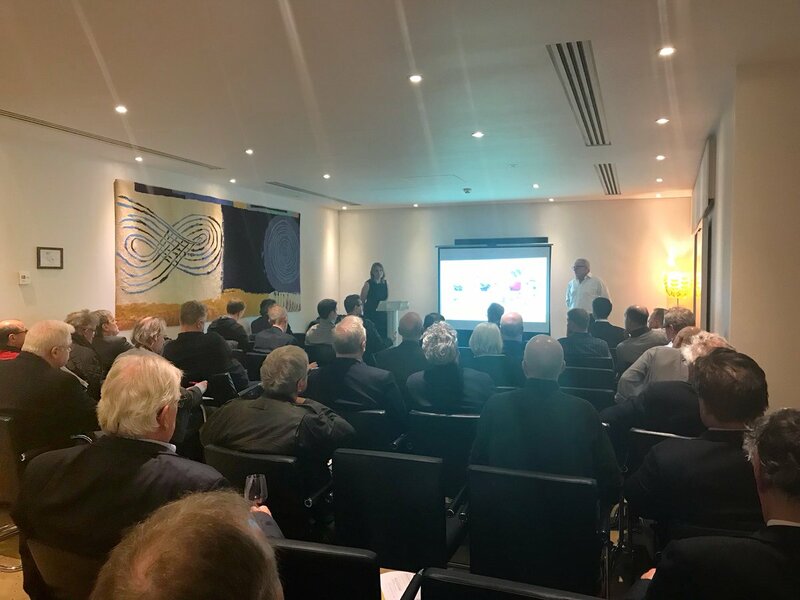 The presentation will be available on the Company website: http://www.tristel.com/investor-centre. I understand the Open Day arrival time is from 11am and the presentation starts at 12 noon. The Company expects to announce its preliminary results for the year ended 30 June 2018 on 18 October 2018. Francisco Soler, Chairman of Tristel plc, comments: “Tristel continues to develop and expand as shown by another year of turnover and profit growth. 2018 marks Tristel’s twenty-fifth anniversary. It has taken a long time for the Company to emerge as the globally recognised force in infection prevention it is today. “In October 2014 I re-took the helm as Chairman, not expecting to still hold the reins nearly four years later. I have stayed in post longer than intended, but in so doing have played my part in guiding Tristel through a truly transformational period. The Board and management’s vision for the Company today is very different from our view in 2014. “Our shareholders have benefitted greatly too. On 13 October 2014 our share price was 74 pence. During the past four years dividends of 18.94 pence per share have been paid. The chairman owns close to 20% of the share count (£26m), so I suspect will be keeping in touch with the firm’s developments. He is 73 and his bio suggests he likes to sell businesses, and (wishful thinking perhaps) I continue to believe a trade sale is his exit plan. The sales suggest that the “trade sale” is perhaps a little less likely? Looking forward to your comments on the Open Day. Following a quick chat with the chairman at the open day, funnily enough I think the door may now be open to a trade sale.